The American Health Council selected Heather Mason, MSN/AGACNP-BC to join its Board of Nurses. 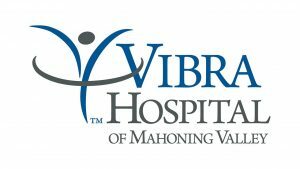 A self-employed nurse subcontractor for Mercy Health — St. Elizabeth Hospital and Vibra Hospital of Mahoning Valley in Ohio, Ms. Mason has provided various nurse practitioner services to the hospital for over a year. Although she has served as a nurse practitioner for three years, Ms. Mason has spent the last 12 years expanding her knowledge in adult acute care and internal medicine. Her interest to pursue a career in the nursing field sparked when Ms. Mason’s aunt suffered a cervical spine injury after a car accident when she was in eighth grade. She visited her aunt in the Intensive Care Unit at the University of Pittsburg Medical Center after school with her family, and that is when Ms. Mason discovered a newfound passion for the profession. She decided that she wanted to help others at times of distress, so after completing her bachelor’s program, she enrolled at Georgetown University and earned a master’s degree in nursing in 2014. As a self-employed professional nurse practitioner, Ms. Mason rounds independently as a limited liability company subcontractor. As a board-certified adult gerontology acute care nurse practitioner, she ensures that she provides high-quality care for patients to improve the quality of their health. Her outstanding skills, combined with her passion and dedication, earned her admission to the Sigma Theta Tau International Honor Society, a prestigious organization that provides educational tools to nurses worldwide with the mission to improve health. Additionally, to ensure that she remains informed on evolving breakthroughs in the nursing field, Ms. Mason is a member of several associations including the American Association of Critical Care Nurses, the American Association of Nurse Practitioners, and the Ohio Association of Advanced Practice Nurses. With a successful career at hand, Ms. Mason’s generosity earned her the Real Hero Award from the American Red Cross of Portage County in 2005. She balances her professional and personal life by spending time with her family, friends, and her dogs. She is incredibly proud of completing her education which has led her to a successful path that allows her to support her family while taking care of people in need. She looks forward to continuing to provide high-quality care to her patients and expanding her independent practice. Vibra Healthcare is a private corporation currently operating numerous hospitals in 18 different states. As a result, its medical professionals see, diagnose, and treat many different patients each and every day. Vibra Healthcare has been providing patients with proficient, personalized, and compassionate medical services since 2004. Founded with one small hospital in 1861, St. Elizabeth Healthcare now operates six facilities throughout Northern Kentucky. St. Elizabeth Healthcare’s mission is to provide comprehensive and compassionate care that improves the health of the people we serve.